The 21st Century face of commerce, software development, and project management offers fertile ground for innovations in the way we do business. One of the concepts that are leading the way is a philosophy known as Agile. The Agile philosophy focuses on the ability to change in a way where the quality of the product is improved while also being able to produce it quickly and efficiently. The mechanics of the process help with costs by giving you the feedback you need to help make necessary course corrections early and throughout the process. This is in contrast to what some called “The Old Way of Working” which tends to deliver one big thing and then having to rework its imperfections or inefficiencies in hindsight. Who’s Who And What Happens At the Big Apple Scrum Day? There are scrum day and Agile-related events throughout the country. 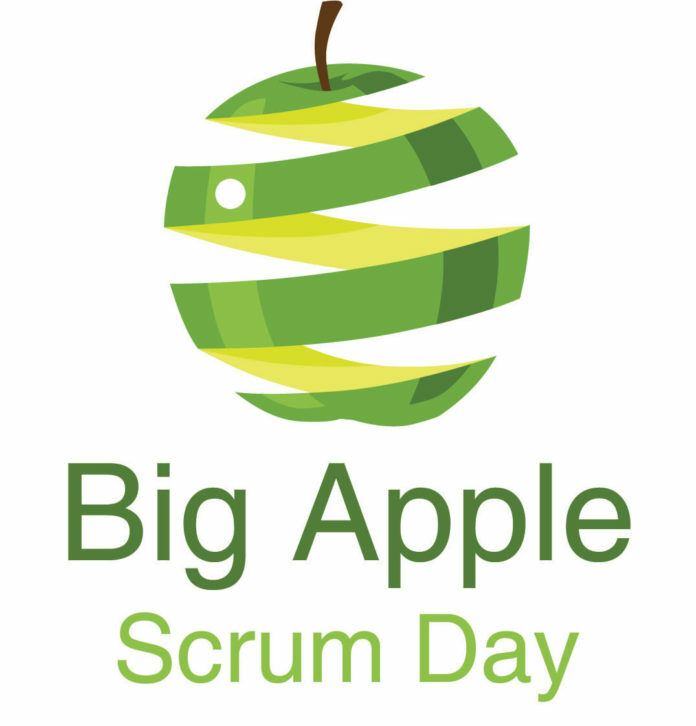 The Big Apple Scrum Day is considered by most to be the biggest and brightest. It features talks, keynote speakers, workshops, breakout sessions, and games, to engage individuals and help them learn more about Lean, Agile practices. Joanne Perold talking about Agile Entropy and Human Systems. It will explore a wide range of aspects which can help human systems by allowing them to better and share the things type of things that improve the end results. Doc Norton will speak on the Building Blocks of a Creative Culture. In it, he will explore what’s been learned about management and motivation, as well as how past practices have been inappropriate and ineffective for developing truly creative work. The core principles behind this shining light on how to produce a truly impactful creative work environment, and the leadership styles that are necessary to cultivate that environment. Marsha Acker will highlight the process of Diagnosing and Changing Stuck Patterns in Teams. She will bring over two decades of experience to explore the model of Structural Dynamics in teams, and how to help them break out of old established methods to embrace new innovative opportunities for growth. Andy Cleff discusses The Fear and Vulnerability of Retrospective. In it, he will explore the stages people find themselves experiencing during times of change. It includes the Comfort Zone, the Stretch Zone, and the Panic Zone. The goal is to help individuals to take responsibility for their choices and actions, as well as slow down to change their posture. The process also involves confronting negative self-talk, checking your assumptions, and embracing the process of starting over. Ellen Gottesdiener talks about Product Backlog Refinement with Structured Conversations. Where she explores the crucial, smooth follow, of a strong team collaborating for healthier product development. This includes refining the process of ongoing work coordinated by the product manager or other executive-level individuals. The overarching goal is a collaboration with the development team while preparing backlogged items to be implemented effectively. Qarina Mannaf explains the need to Stop Wasting your Team’s time: How to Write Good, Agile Requirements. The process employs user stories in order to make agile and scrum teams more efficient while also ensuring that their focus remains centered on the users. Michael S. McCalla shines a light on the concept of The Outcome Measurement Model: Is Your Agile Adoption Moving The Needle? Companies and organizations that have adopted an Agile philosophy don’t always see the initial results they hoped for. There are a variety of reasons why this might be. McCalla explores them to help maximize an organization’s agile results. Julie Wyman discusses Limiting WIP: Doing Less to Do More. All too often in business Works in Progress of WIP can lead to increasing inefficiency problems. In her talk, she explores the benefits of placing thoughtful limits on the number of works in progress that a team is engaged in. The ultimate goal is to produce a higher quality product faster, before moving on to the next project. Yuval Yeret talks about Scrum, Kanban, and DevOps Sitting on a Tree. Many individuals and organizations feel like they have to choose between Scrum, KanBan, and DevOps. However, Yeret advocates that Scrum’s Agile philosophy can work with these other systems and the common ground shared between them. In 2019 the keynote speaker is Gitte Klitgaard. She is an agile coach who has over a decade of experience working with businesses and organizations as well as coaching individuals in agile practices. Her overarching goal is to help people work together better and also feel better about themselves along the way. Gitte has a strong reputation for speaking her mind. She is an active part of the agile community and often engages in on and offline discussions. One of her strongest areas of interest is understanding how people function, as well as the various ways that people and teams communicate. This goes as deep as looking at how the human brain works, and what motivates us.